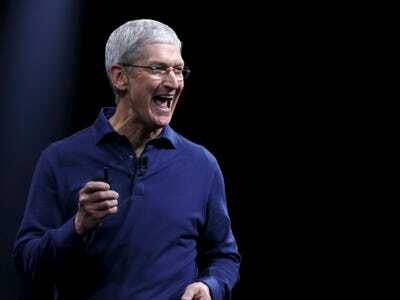 Apple’s big Worldwide Developers Conference was on Monday, and Wall Street analysts came away less than surprised at what was announced. On Monday, Apple mostly unveiled updates for existing products without announcing any new or groundbreaking hardware. At the event in San Francisco on Monday, Apple unveiled Mac OS X Capitan, iOS 9 for iPhones and iPads, software updates for Apple Watch, and a subscription service called Apple Music. There was no expectation for Apple to announce anything extraordinary, and that’s exactly what happened. In response, the stock traded in a tight range during and after the event. Deutsche Bank analysts were impressed by the new Apple Watch OS, although they also hoped for an update on how many watches have been sold. But weaved into the event were some key numbers that the analysts found helpful, including a nearly 1 billion user base (versus 800 million reported in April 2014,) Apple Pay being used at one million locations, and 100 billion downloads on the App Store with $US30 billion in payments to developers. Apple shares were lower but little changed in premarket trading, after closing down less than 1% at $US127.80 on Monday. Shares are up 38% year-to-date.